Annual Fund - Donating to the Annual Fund is a great way to provide support to A.I.R.. This funding goes directly toward administrative costs and program support. It’s what helps us pay the artists, curators and writers we work with and maintain a small but effective staff. Support the Annual Fund today. 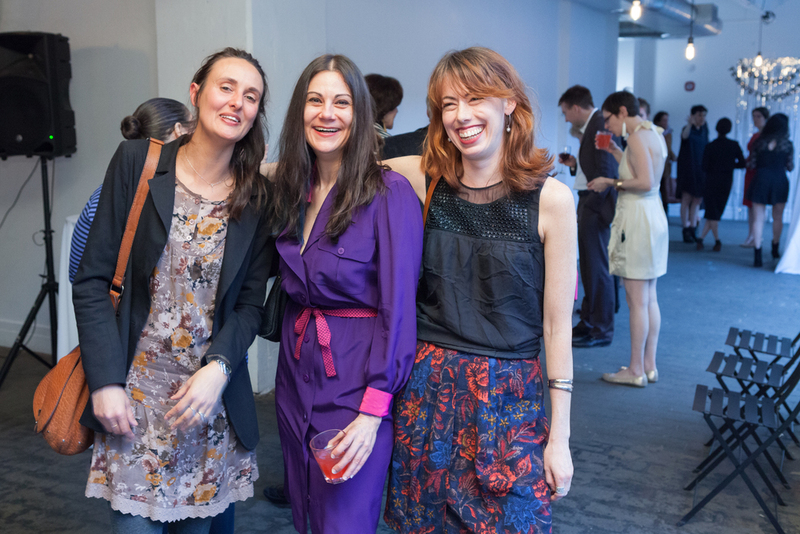 The Emma Bee Bernstein Fellowship Fund - The Emma Bee Bernstein Fellowship Fund provides support to 6 emerging women-identified artists each year. Each fellowship seat cost $12,000 a year and is only partially funded by government grants. Your individual contribution to the A.I.R. Emma Bee Bernstein Fellowship Fund makes a significant impact on the continuation of this program. Learn more about the Emma Bee Bernstein Fellowship Fund or make a donation. Bequests - A bequest in your will is the simplest and most popular type of planned gift. This type of unrestricted gift allows A.I.R. Board of Directors to use the gift where it is needed most, or the gift can be applied to a specific purpose. These planned gifts ensure A.I.R. Gallery’s future as we provide continued support to women in the arts. Barbara Siegel Exhibition Fund - To be used to support an exhibition in 2020 of Barbara Siegel’s artwork at A.I.R.Gallery. Barbara Siegel was an outstanding artist member of A.I.R. Gallery, who was admired for her artwork, her teaching and her dedication to the gallery. The gallery would like to honor Barbara’s tenure at A.I.R. with this memorial exhibition. A.I.R. Gallery is a non-profit, 501©3 arts organization and our funding comes in large part from the donations of generous supporters like you.